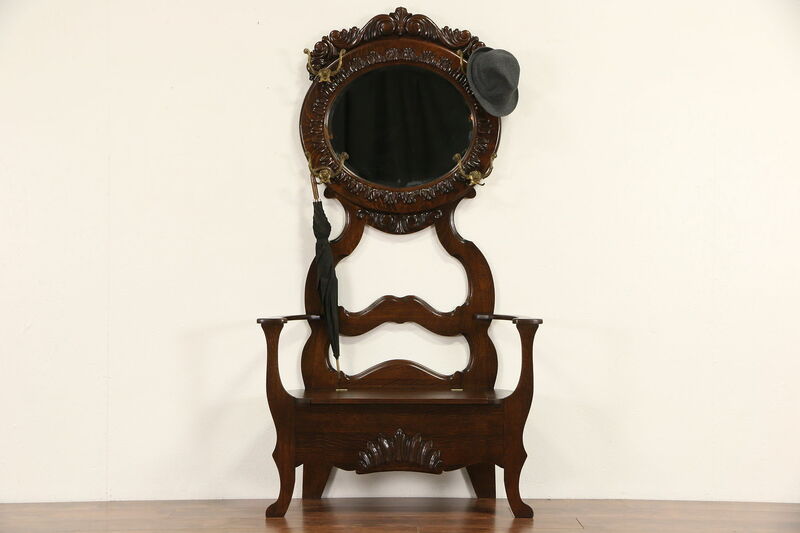 A Victorian period very early 1900's hall bench has storage under the seat, an original beveled mirror and gargoyle coat and hat hooks. This solid quarter sawn oak bench has been restored and re-glued and has an excellent deep finish. American made antique furniture, size is 42" wide, 18" deep and 78" tall, the seat is 18" high.